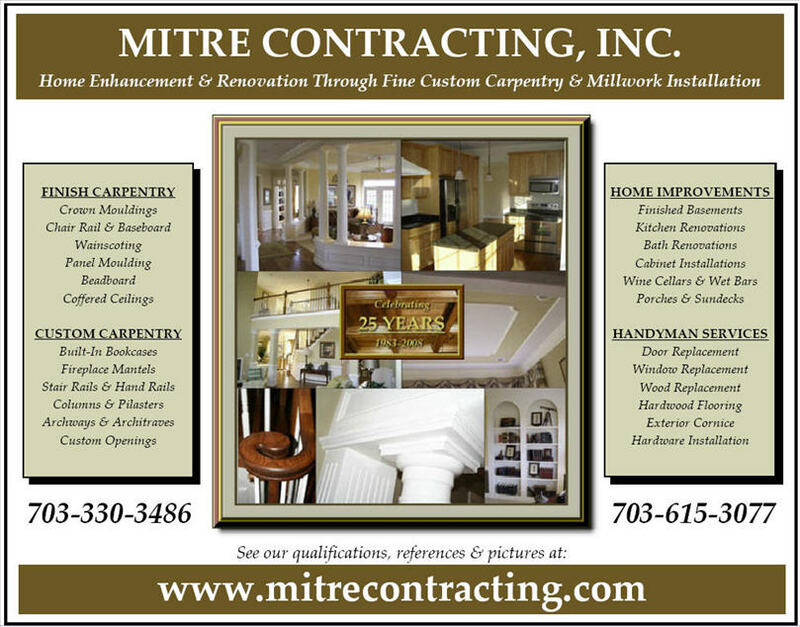 Mantels & Surrounds - MITRE CONTRACTING, INC. This page features a few pictures of some of the mantels we have designed, built and installed, or some we have simply installed. It is always helpful for the client to collect pictures and design ideas, so we can get a good idea going in, of your vision for your new fireplace surround or mantel. We are always looking for different fireplace mantel ideas and designs for our projects, and hope that the next customer will have a new and exciting design idea they would like us to build. We give free consultations and estimates, and will offer our 30 years of experience to help you achieve the look you are after. Nice and simple design using standard mouldings and one tapered column cut in half. A typical mantel package from the millwork, installation only on this one. Oak mantel, part of a complete built-in project. You would like to think that one day I will learn to hold the camera a little straighter. This mantel had to be custom made to fit around the angled walls each side of the fireplace. There was not enough room on the flat for the pilaster sides, mantel shelf and crown. Each pilaster is designed to wrap the angled wall. Also with this home improvement project we installed a beaded wainscoting through out the entire room. If you are thinking of getting a new fireplace mantel or surround built in your home, please call or email us anytime if you would like us to give you a free, no pressure, no obligation, consultation & proposal.